A white romper is a mentionable outfit, especially for summer, but ladies prefer to wear this dress yearlong. Suitable for all kinds of figure, be it skinny or plus size and also for all age groups starting from children to adults, a white romper if accessorized with some contrasted colored bags and shoes will impart a ravishing look. As far as the designs are concerned, each dress is made with stylish necklines. 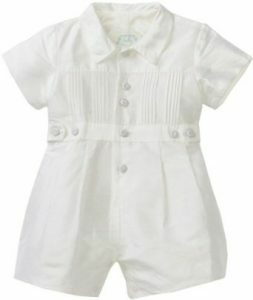 Hence, white rompers with halter neckline, off shoulder, plunging necklines are some of the designs you will come across. 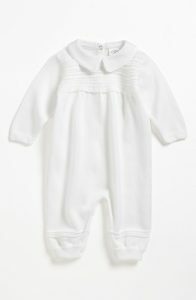 If you are obese, there is no reason to discard the idea of a white romper, as this dress is also for you. 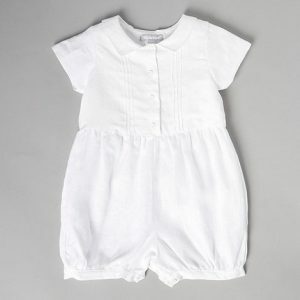 Take a look at the two piece white romper. The loose three-quarter sleeves of the top have made it a very fashion friendly choice to conceal the problem zone around your back arms. Try this spectacular one piece romper that is beautifully adorned with a black belt. With a fair share of the sneaky peaky of the cleavage, this dress is for those girls who love to wear bold outfits. A full-length white romper entirely designed with the lace is a magnificent outfit that will make you look like an alluring siren. To make your look a little more special, add a floral tiara. Your holidaying at the beach will be incomplete if you do not have a white romper with a deep neckline. The lacy effects on the hemlines are sweet and sizzling. Make a dazzling appearance in your high school party by dressing up in a full sleeved lace white romper. With a statement neckpiece and a shimmery makeup steal the hearts of your friends. A short yet sweet strapless white romper is a good option when you feel dubious about the appropriate clothing for a brunch party. Wear a stylish necklace and select a matte make-up.